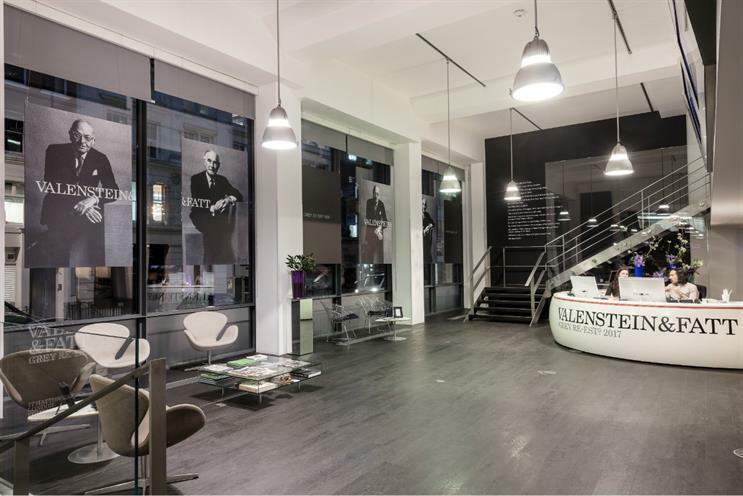 Grey London is making a statement against a recent surge in racism and nationalism by changing its name to Valenstein & Fatt, with the surnames of its two Jewish founders appearing above the agency's doors for 100 days. The WPP agency said that the name change was timed to coincide with this week’s planned triggering of Article 50 by the UK government, which begins the country's withdrawal from the European Union and brings to head a process mired in anti-immigration, racism and nationalistic rhetoric. "Grey London is showing its commitment to diversity and openness by re-establishing itself under the name of its original Jewish founders," the agency said. Back in 1917, two Jewish entrepreneurs, Lawrence Valenstein and Arthur Fatt, set up an advertising agency. But as racism was rife at the time they decided not to use their names but rather the word that described the colour of the wallpaper - grey. But, given the rise in racism and the so-called alt-right movement in the US which surrounds recently-elected US president Donald Trump, the agency has decided to resurrect the names of its founders. The new identity sees Grey drop its San Serif font for a new logotype set in Century Schoolbook, a typeface designed in 1917 just a few blocks from Grey’s first office. The newly-named Valenstein & Fatt is extending the idea of diversity and tolerance beyond the names above its doors and is to regularly publish its diversity data, which is based on the voluntary responses of 305 individuals (60% of the agency) and which uses standards set by the UK Office of National Statistics. It is also launching a cross-industry taskforce to identify the barriers to staff recruitment and retention among ethnic minorities, with the first meeting co-chaired by former Equality and Human Rights Commission chairman Trevor Philips and Grey London chief executive Leo Rayman. Invitees include the chairwoman of MediaCom, Karen Blackett. Other moves include a Valenstein & Fatt bursary to pay a year’s rent for up to two young people from an ethnic minority to live in London and work at the agency, while it is working with 100 primary and secondary schools to introduce pupils to careers in the creative industry. Rayman said: "Recent events, from rising instances of hate crime and terror attacks in London to the triggering of Article 50, have sent shivers through our society and businesses, but it should also inspire a collective and determined attitude that our country and our companies will not change for the worse." Today Grey is one of the world’s largest advertising networks in the world, with 10,000 employees in 96 countries.